If you require a custom built cylinder to suit your exact specifications, including Gledhill Thermal Store Cylinders, please complete the Gledhill Special Order Cylinder Form, send it to us and we’ll have it delivered within two working days via our super-speedy service! Ordering a Special Order Gledhill Cylinder is easy! Simply follow these four steps! Download and complete the Gledhill Special Order Form PDF (127KB) and send it to us. We’ll get back to you asap with a quote, you can then pay over the phone or online via a secure link to our website. The cylinder will be locally manufactured in one of the nationwide Gledhill Super Depots. Your new custom-built cylinder will be delivered guaranteed next day UK delivery. 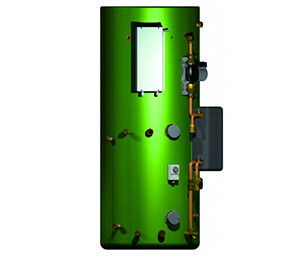 Whether you require a standard cylinder, combination unit, pre-packaged Seagull unit, a commercial cylinder of up to 1000 litres capacity or a specialist commercial cylinder providing 6000 litres of hot water per hour, Gledhill’s trained coppersmiths have the skills for you. You will benefit from this finely crafted custom-built cylinder service at no additional charges to you. You will need to print out the Order Form and fill it in clearly using black ink. Please include your name, company name (if applicable), email address and phone no. You’ll then need to get out your tape measure and calculator and begin to list all tapping positions, type, insulation, working head and any other relevant information. Once you have filled in the Special Order Form you can scan and email it to us, fax it to us, or pop it in the post. You will receive a quote within two hours during weekdays between 8:30am - 3pm (or the following working day if received after 3pm, please allow a longer time period for order forms sent by post).